After discovering a derelict record plant on the edge of a northern English city, and hearing that it was once visited by David Bowie, Karl Whitney embarks upon a journey to explore the industrial cities of British pop music. Manchester, Liverpool, Newcastle, Leeds, Sheffield, Hull, Glasgow, Belfast, Birmingham, Coventry, Bristol: at various points in the past these cities have all had distinctive and highly identifiable sounds. But how did this happen? What circumstances enabled those sounds to emerge? How did each particular city - its history, its physical form, its accent - influence its music? How were these cities and their music different from each other? 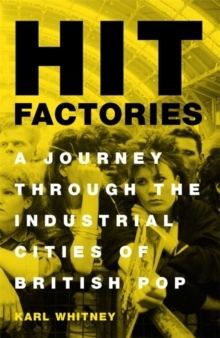 And what did they have in common?Hit Factories tells the story of British pop through the cities that shaped it, tracking down the places where music was performed, recorded and sold, and the people - the performers, entrepreneurs, songwriters, producers and fans - who made it all happen. 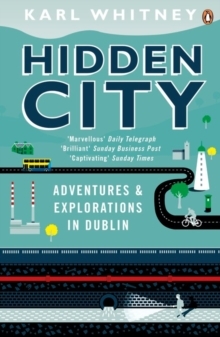 From the venues and recording studios that occupied disused cinemas, churches and abandoned factories to the terraced houses and back rooms of pubs where bands first rehearsed, the terrain of British pop can be retraced with a map in hand and a head filled with music and its many myths.